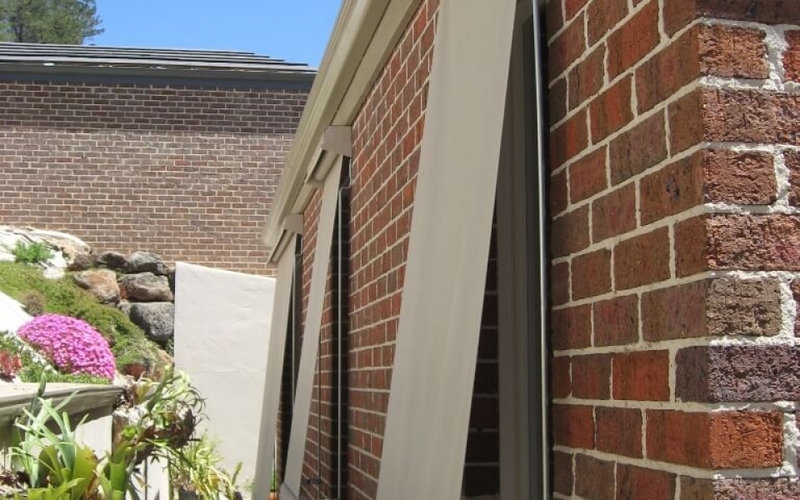 Traditional canvas awning blinds, also known as automatics, are the most economical way to shield your windows from the harsh Melbourne sun. 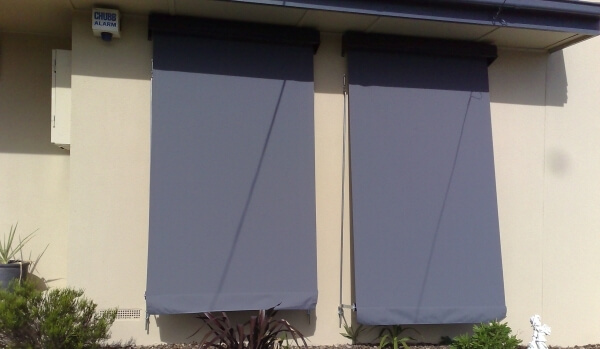 They have proven themselves over the years to be robust and a practical way to reduce sun glare and internal temperatures by providing shade and preventing Melbourne's hot sun from hitting the glass. 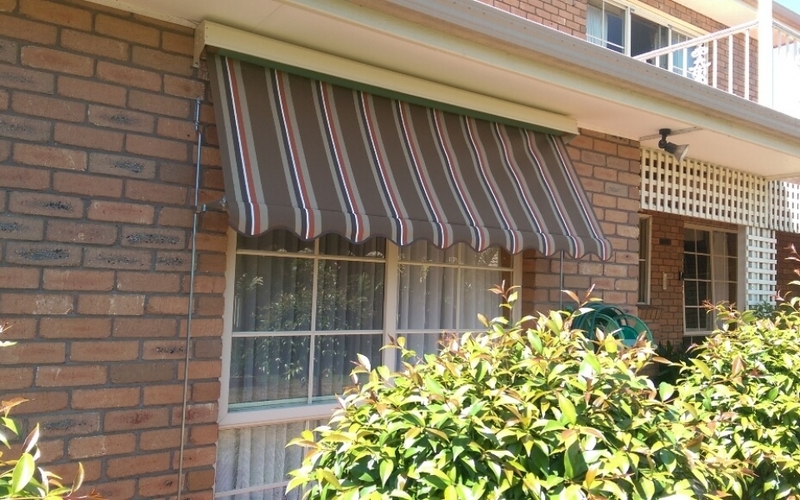 Committed to improving the condition of properties across the city Euro Blinds can deliver high-quality awnings to Melbourne homes and businesses. When an economical way is required to shield from the sun and reduce internal temperatures. Generally used on single storey windows and sometimes on verandahs with posts. Mainly used on domestic homes. Canvas awnings Melbourne also known as automatics operated by pulling the blind down with a special stick which makes the guide arms pop out automatically (hence the name). The guide arm is available from 150mm to 900mm in length and the blind can be stopped to any height along the guide rods. 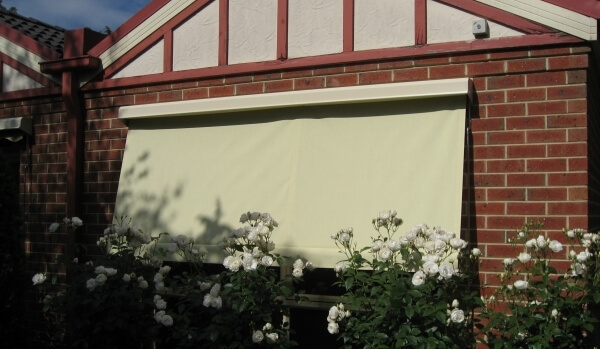 The awnings can be made up to 4.5 metres wide with a 2.7 metre drop. They generally use canvas as the fabric but Vista weave has become popular of late as it still provides sun glare and heat protection while still allowing you to view out. 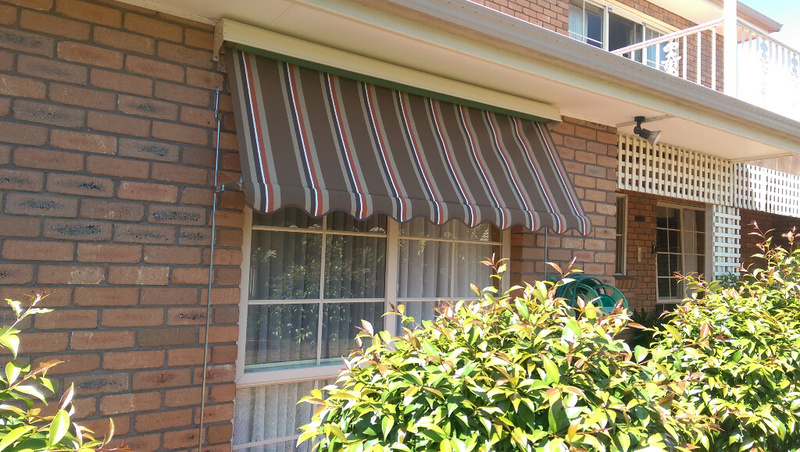 All our canvas awnings are custom made here in Melbourne using quality materials and components like colorbond hoods, galvanised tubes and guides and leading brand fabrics, which is why we can confidently back them with a 5-year warranty. 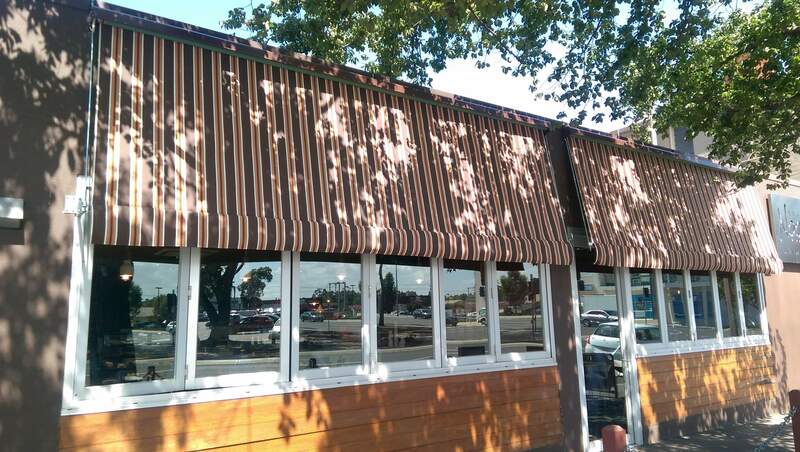 Canvas awnings can come with Colourbond pelmets, different arm and guide lengths which are also available in stainless steel for areas near the ocean or for those people who want a totally maintenance free awning. The choice of leading brand fabrics and colours like Brella are available including the Fire foil range for added heat protection. 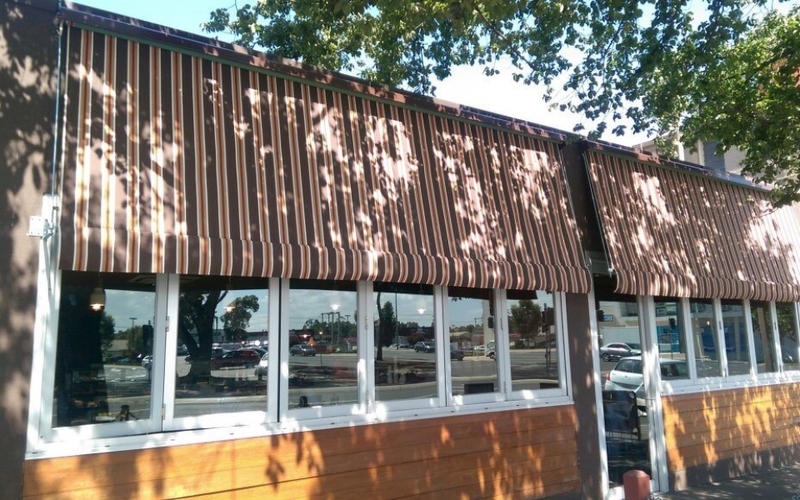 You can choose to have the awnings come with either straight or scalloped valances. 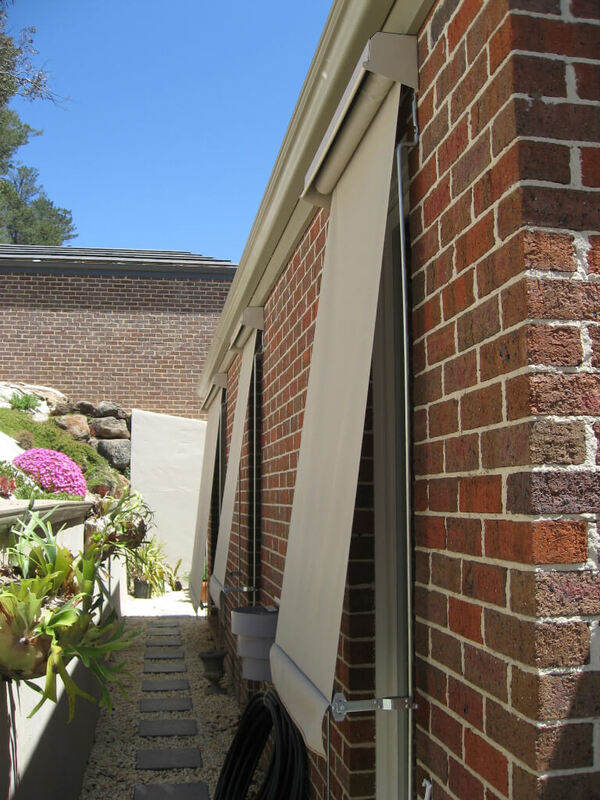 To learn more about our Awnings Melbourne domestic and commercial customers are encouraged to call us on 1300 405 354.